We describe protein interaction quantitation (PIQ), a computational method for modeling the magnitude and shape of genome-wide DNase I hypersensitivity profiles to identify transcription factor (TF) binding sites. 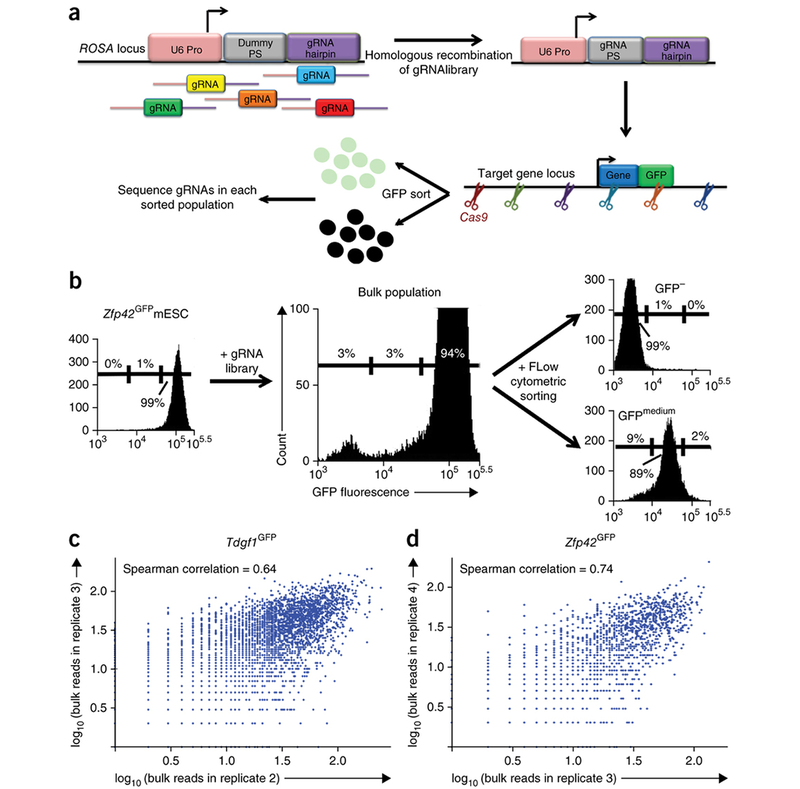 Here, we present the multiplexed editing regulatory assay (MERA), a high-throughput CRISPR-Cas9–based approach that analyzes the functional impact of the regulatory genome in its native context. Using this approach, we identify unmarked regulatory elements (UREs) that control gene expression but do not have typical enhancer epigenetic or chromatin features. 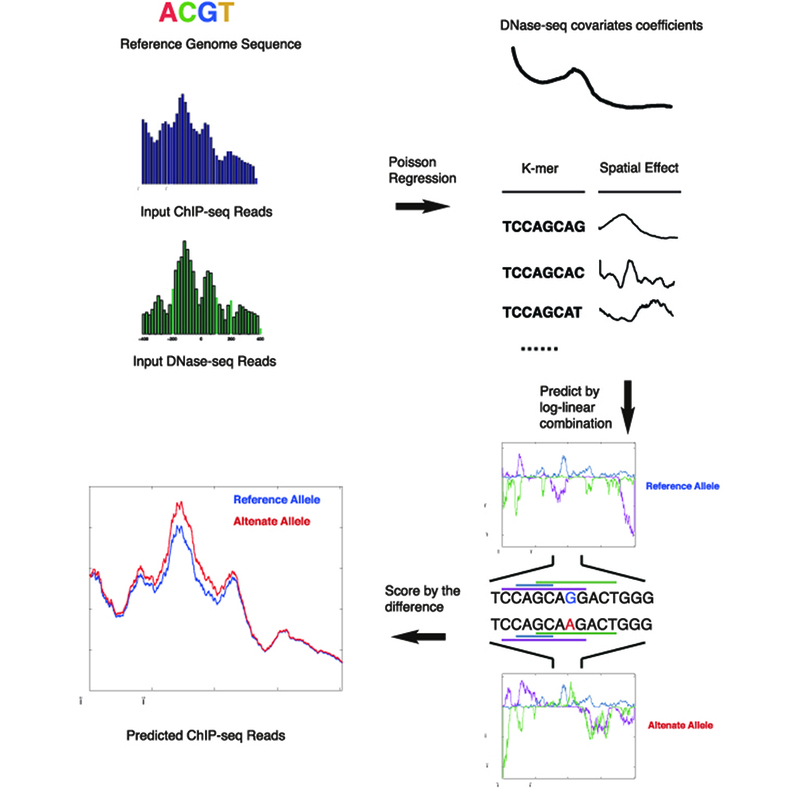 We present GERV, a novel computational method for predicting regulatory variants that affect transcription factor binding. 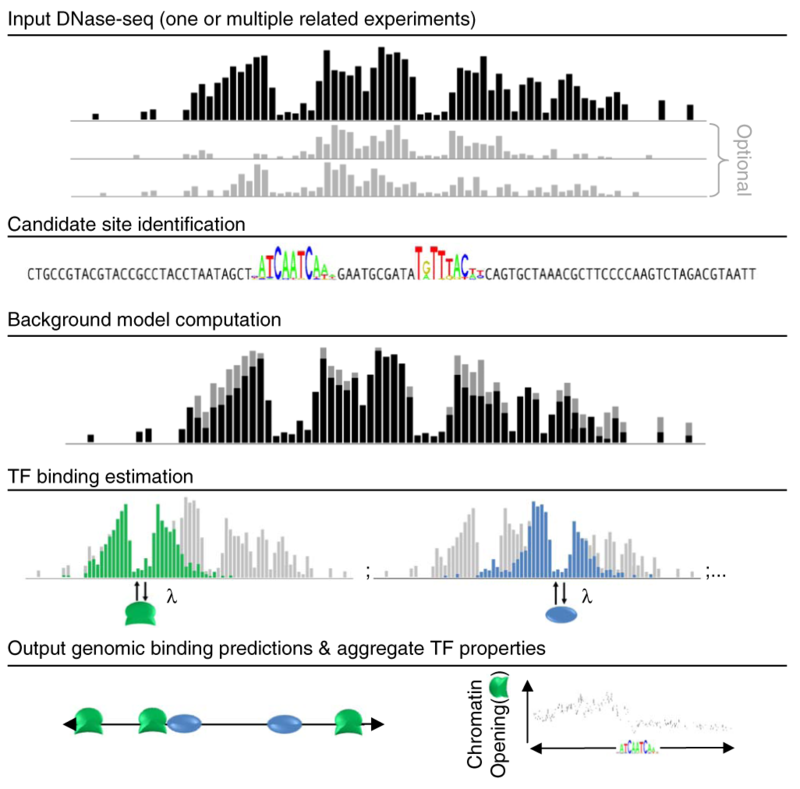 GERV learns a k-mer-based generative model of transcription factor binding from ChIP-seq and DNase-seq data, and scores variants by the change of predicted ChIP-seq reads between the reference and alternate allele. Created with ♥ by Haoyang Zeng with Jekyll based on Feeling Responsive.